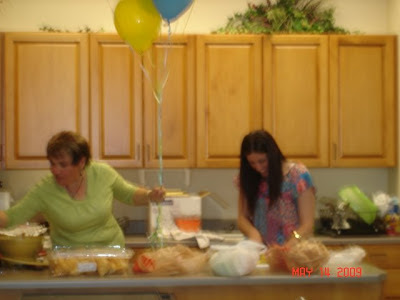 Dixie and Meagan were the party planners. 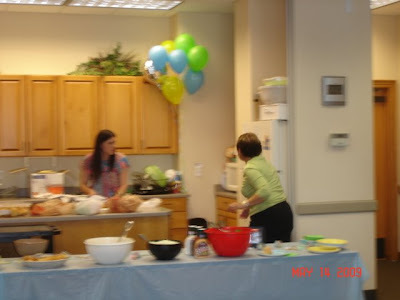 Look at all the food they are preparing. 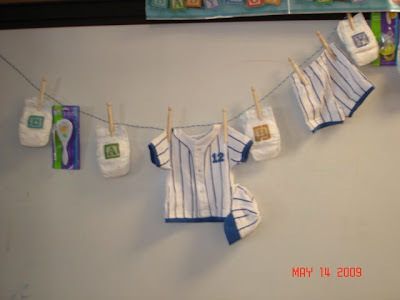 These two put a lot of effort and time into this baby shower. Everyone else in the office brought food too. Everyone especially liked the bow tie salad that Sue made. Yum! Some of the presents that I received. One of the gifts was a baby monitor. Nice! 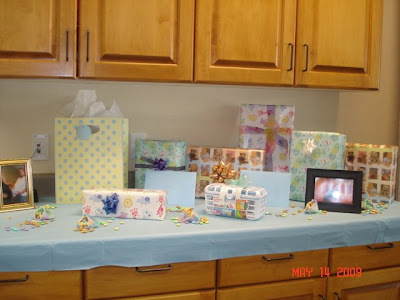 Everthing was decorated so cute! 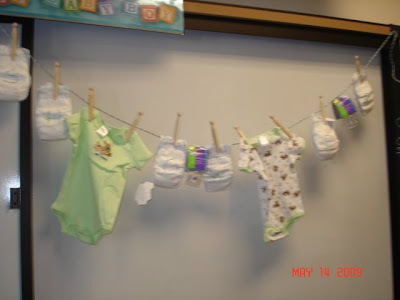 The best part about the decorations was they were all things I could use for the baby. Hey Rachelle, I saw your blog on someone else's and checked it out. How exciting!!! You're having a little boy it looks like. It seems like forever since I saw you. Are you still in Logan? We're still in Boise. Our blog is http://www.jessandbrit.blogspot.com/ Good luck with everything! !